Maruti Suzuki will unveil a new global hatchback codenamed YL7 at the upcoming Auto Expo 2014. The new global hatchback will be called Celerio, the name Suzuki currently uses for A Star in some international markets. Infact, the Celerio is dubbed as a replacement for A-Star. 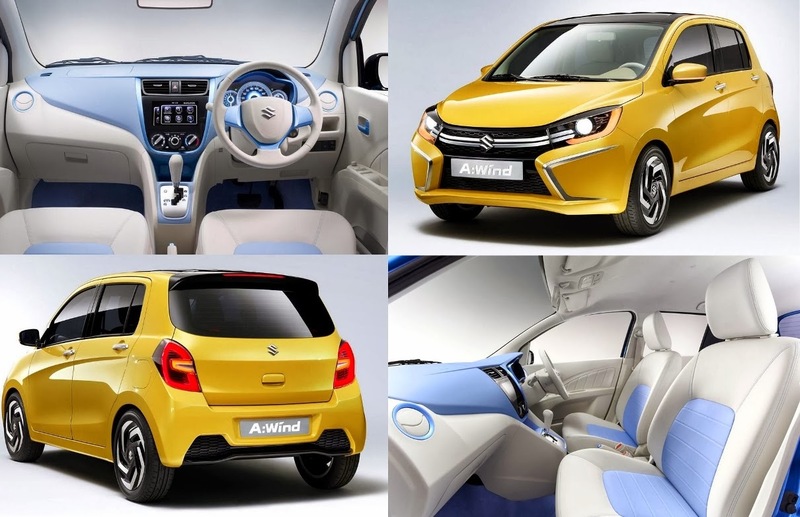 Maruti Suzuki Celerio is the Suzuki A:Wind concept showed at 2013 Thailand Motor Show. It will be powered by Suzuki’s K series 1.0 petrol engine and diesel option cold be a possible guess as Maruti has hinted at showing something interesting at the Auto Expo 2014. If a diesel option is bought, it could be the 2 cylinder diesel which Maruti has been taking about for some time. We believe, the new small diesel eninge from Suzuki will be a downsized version of its 1.5L 4 cylinder diesel which Suzuki spoke about some days ago. We can also expect an automatic transmission variant in the diesel option as well, which will become the first diesel automatic transmission car in its segment. This will make the Celerio stand out in the competition and we all know very well how Maruti Suzuki can manage to stand out in cut throat competiton. Maruti Suzuki Celerio will replace A Star and Zen Estilo in India, the two cars from country’s largest manufacturer which virtually never took off. These two cars might be the only vehicle from Maruti’s stable which could not make any mark in Indian automobile industry. Let’s wait till the Auto Expo 2014 to see what Maurti Suzuki might bring something interesting for us.